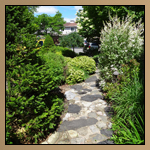 These before and after photos, show a complete front yard overhaul. 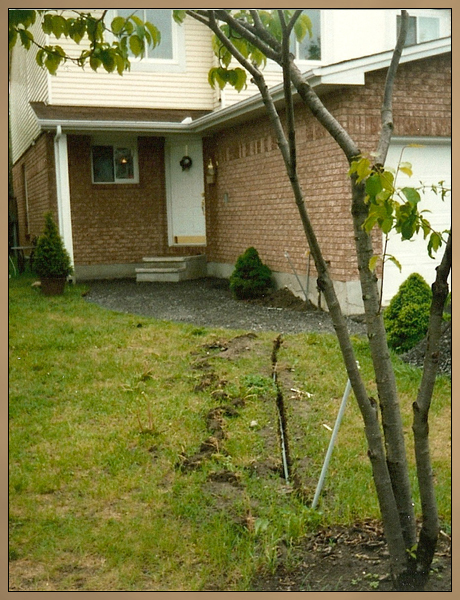 Electrical was roughed in with buried conduit pipe for possible future needs, prior to the interlock installation and new sod. 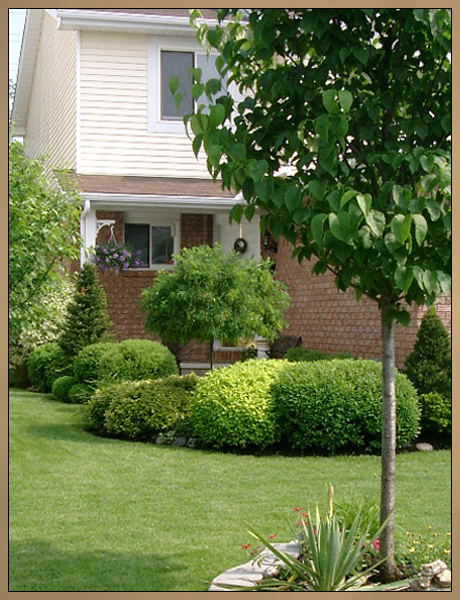 The shrubs were chosen based on hardiness, plus they are easy to prune and shape. 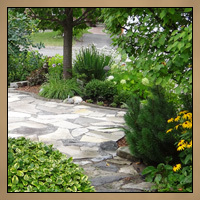 A few large rocks were placed along the garden for decorative purposes and one rock situated at the midway point of the front walkway, provides a short cut through the garden. 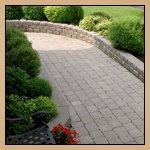 Ultimate Designs does not offer large scale driveways, patios, walkways, large retaining walls, fences or decks as they are all better built by companies who specialize because they will have the expertise, experience, equipment and manpower to complete those types of projects in a much timelier and hopefully professional fashion. 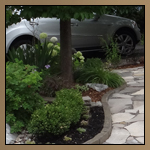 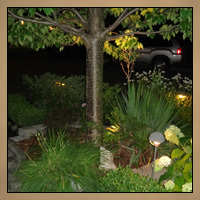 Small interlock jobs, modifications and enhancements to paths and gardens, are welcome. 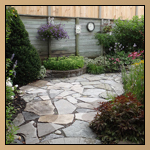 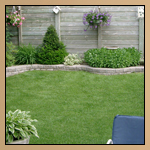 Creating interesting gardens and landscapes, or providing some direction to a home owner for a new garden by getting things started are the types of landscaping projects Ultimate Designs is happy to help with.